This week, H.E. “Gene” Rainbolt presented checks totaling $444,318 to OMRF and the Stephenson Cancer Center at the University of Oklahoma. 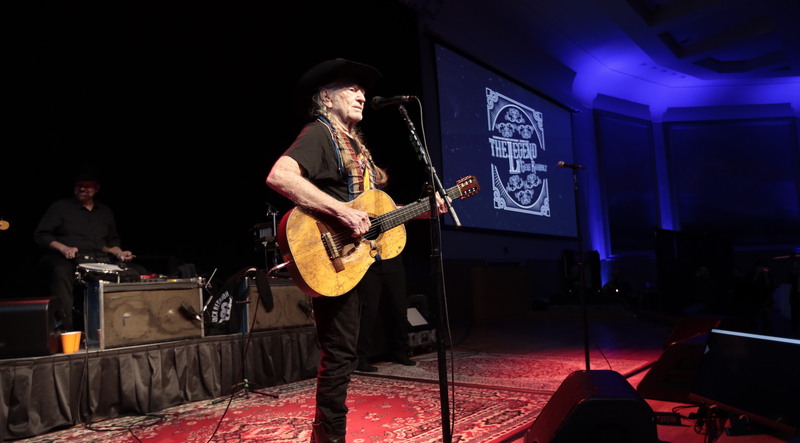 The two charities split the funds, which were proceeds from a dinner and private concert by country music legend Willie Nelson hosted by Rainbolt in celebration of his 90th birthday. Rainbolt underwrote the event and, in lieu of birthday gifts, asked guests to make donations to cancer research to benefit OMRF and Stephenson. Approximately 800 guests attended the dinner and concert, which took place at the National Cowboy and Western Heritage Museum on Feb. 20. This is the second time Rainbolt has capitalized on a “zero” birthday to benefit cancer research. When he turned 80, he hosted a similar concert—also starring Nelson—that raised $340,000 for Stephenson and OMRF.